Ahh the joys of being prepared! I always find life more in order and calm when I am prepared. There are so many ways, so many things we can prepare for and meals are one of them! I try to take the time to prepare the vegetables I purchase right away. I truly believe I eat healthier when I am prepared. I was helping my daughter prepare for college and her new apartment especially the kitchen. We prepared many foods before she left making her first week of school a little smoother! 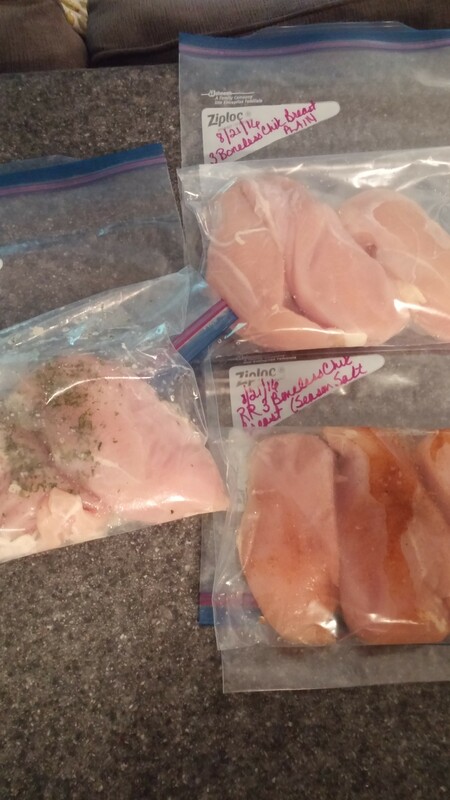 I decided to share some of my usual chicken packets we make ahead of time. These are the ones I sent my daughter off with! ENJOY! I purchase the Boneless Chicken Breasts at Wegmans. For these packets I got a pack of 11 chicken breasts for $11. I split them up 4 ways. For the packets my daughter prepared she used the Boneless Chicken Tenders from Costco. It is about $24ish and you get 6 or 8 packs of tenders. Both are great deals on Chicken! Chicken Thawing Tip: It is so wonderful to have chicken packets prepared but uh oh what if you forget to take them out of the freezer? No worries! Simply place the entire bag, do not open the bag, into a big bowl full of VERY cold ice water for about 15 minutes. You can leave it longer if you change the water every 15 minutes. All of these packets were placed in Ziploc baggies, using two baggies per pack. Then placed in the freezer. 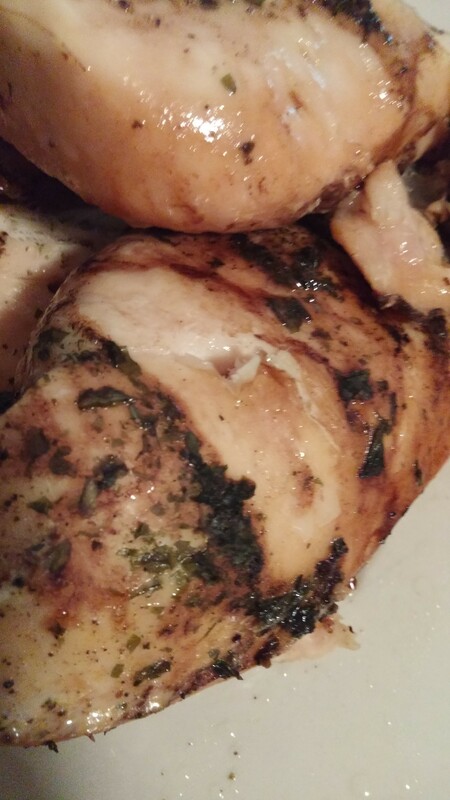 3 pieces of Chicken were Balsamic Garlic and Herb which is a splash of olive oil, a generous splash of Balsamic vinegar, parsley, salt, pepper and garlic herb seasoning. You could also add in 2 minced garlic cloves if you want heavy garlic flavor. 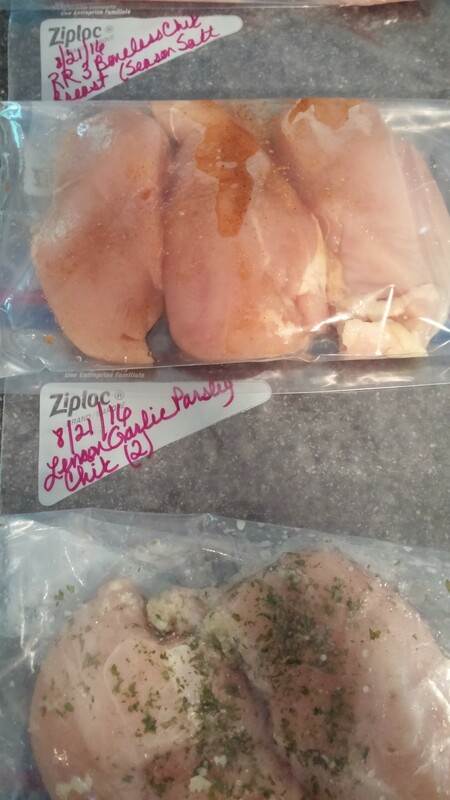 This packet was taken out of the freezer and placed in the slow cooker on high for 4 hours!